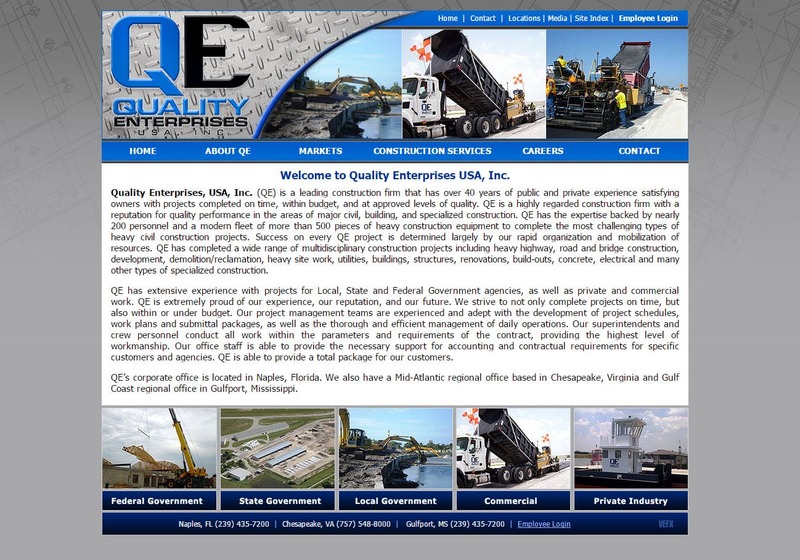 Website design for Construction Companies | Long time client Quality Enterprises and VISIONEFX have teamed together for a website redesign. It can be said that our level of service, technical expertise and design talent attributes to repeat business from our existing clients. We understand that great design elevates web sites above the rest and work to provide you the very best in web design. Our web design team takes Web Design VA seriously and wants to provide you with the best service anywhere. Search ‘Website design for Construction Companies’ find the web design experts at VISIONEFX.